A surreal and minimalist version of the story of Joan of Arc. 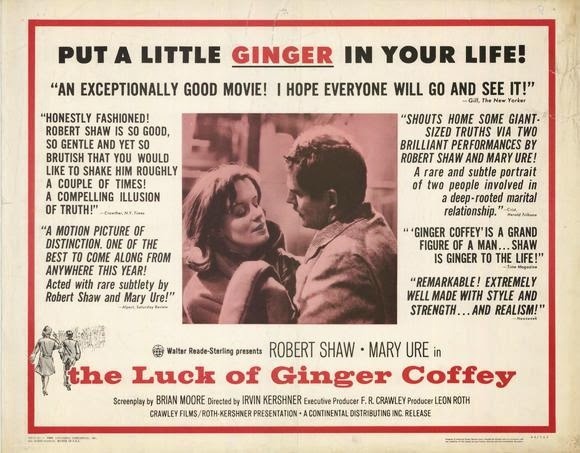 The Luck of Ginger Coffey is a compelling drama about the travails of a high-spirited Irish immigrant trying to make his way in Montreal in the early 1960's. The film is based on Northern-Irish-Canadian author Brian Moore's Governor General's Award-winning novel, The Luck of Ginger Coffey. The title character is portrayed by legendary actor Robert Shaw (Jaws, A Man for All Seasons) in a performance that explores the bluster and fragility of a man bent on quickly improving his station in life in what he sees as “The Promised Land”. Shaw's real-life spouse Mary Ure holds her own as Coffey's wife in an equally well-pitched performance. There are few, if any, English-language Canadian films of that era that match The Luck of Ginger Coffey's quality and emotional heft. 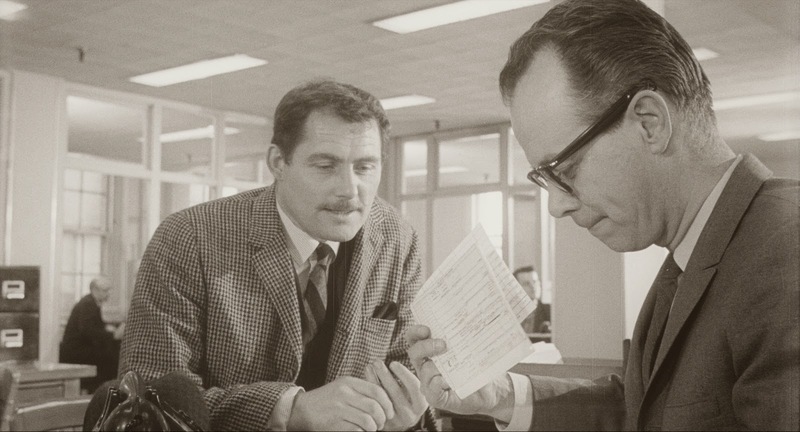 It won the Canadian Film Award for Best Feature Film in 1965. The film is also notable today for the talented production team that helped bring it to the big screen. It was the second feature-length drama produced by renowned Ottawa film producer F.R. “Budge” Crawley. By the 1960's his and his wife Judith's production company, Crawley Films, was the largest independent production company in Canada, producing a slew of television shows, commercials, documentaries, animation and training films. Crawley was determined to break into the feature film business, and after a first attempt with his 1963 surrealistic satire Amanita Pestilens, he followed up with The Luck of Ginger Coffey. Crawley wisely hired author Brian Moore to adapt his own novel for the screenplay. Crawley then found a seasoned American TV-director, Irvin Kershner, to helm the film. Both later went onto careers of great distinction. Over his career Moore was nominated for the Booker Prize three times. He later went on to write the novel Black Robe, also adapted into a film, and he also wrote the screenplay for Alfred Hitchcock's Torn Curtain. Kershner famously went on to direct the Star Wars sequel The Empire Strikes Back and Sean Connery's 1983 comeback film as James Bond, Never Say Never Again. Crawley himself later won the Oscar for Best Documentary Feature for The Man Who Skied Down Everest in 1976. As a result of such a confluence of talent, and the performances of the lead actors, The Luck of Ginger Coffey has stood the test of time. The film will be screened on a high-quality 35mm film print from the collection of Library and Archives Canada. Presented by the Lost Dominion Screening Collective. Ottawa Indiefest talks with John Yemen about the film and collective here.